Here are sample 360 videos from Sonicam, a professional 3D 360 camera that has 360 spatial surround audio. Sonicam is a professional 3D 360 camera with 64 microphones to provide 360 surround audio. It can record in 4K 360 video, with realtime stitching and live streaming. I saw their booth at NAB Show and got to see the Sonicam, which was about the size of a grapefruit. You can now see sample videos from Sonicam, including samples that demonstrate 360 audio. Sonicam is launching its crowdfunding program on Kickstarter tomorrow, where it is expected to be available for $2,000, which is half of its $4,000 MSRP. think I’m going to be in on this one myself. 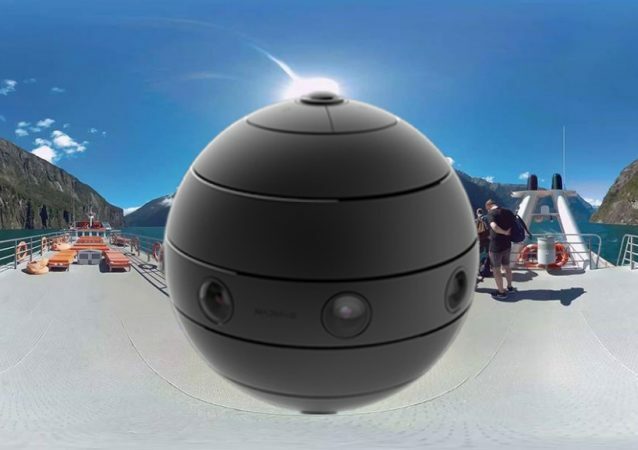 New 360 photo from the Kodak Orbit360 looks impressive! True or false: 2017 Samsung Gear 360 user dove with his Gear 360 without a case and…. took great photos?